I really am really enjoying this. The pink to red transition is awesome! It looks so sparkly and pink and just plain fun. The Jade holographics are amazing. They apply perfectly and you can use top coat with them. 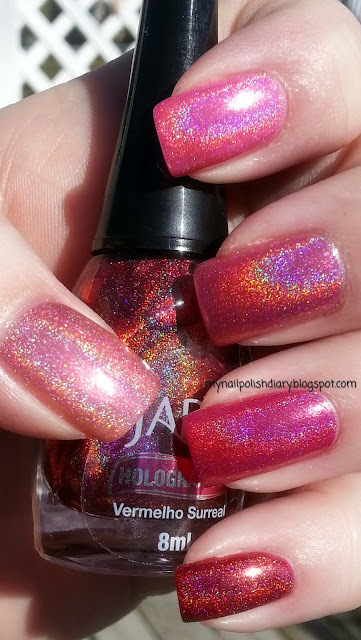 OPI DS Chiffon is also amazing, as the Designer Series collection always is. 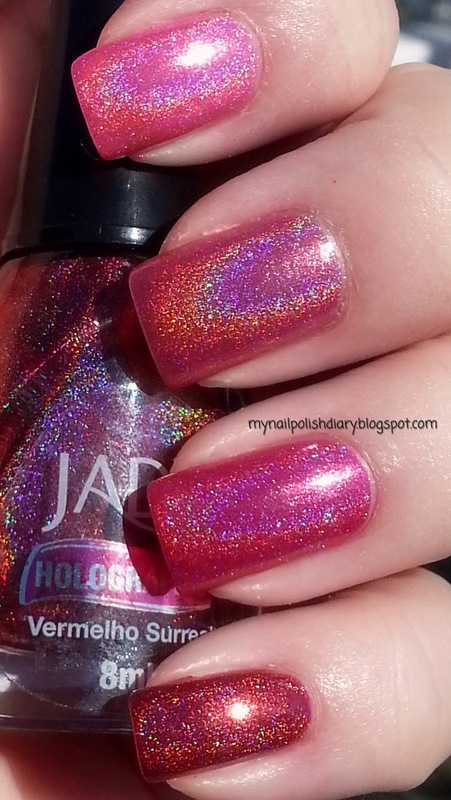 I used Sally Hansen Diamond Flash fast dry because it rarely (if ever) dulls holo effect. Love it. It dried prett fast too. And it's shiny enough to satisfy this shiny TC lover.